HARDBOUND PLUS DUST JACKET AND SLIP-CASE. 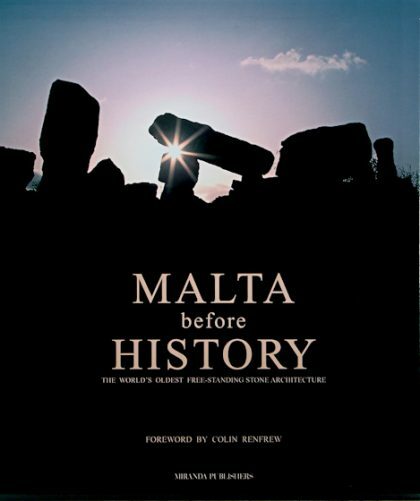 An archaeological, academic and pictorial analysis of Malta’s pre-history embodied in the oldest freestanding stone buildings in the world on the Mediterranean islands of Malta and Gozo. Malta Before History explores the stone structures, known locally as ‘the temples’ that are older than the pyramids in Egypt, the sites of Mesopotamia and Stonehenge in England. 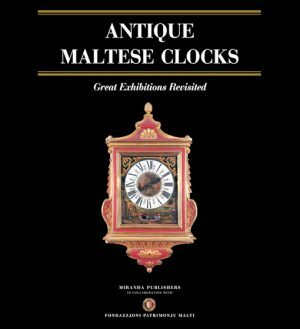 This unique publication, with a foreword by renowned historian Lord Colin Renfrew, brings the Maltese Islands to the attention of new generations of historians and academics as well as readers and travellers who enjoy the uniqueness of history and have never before discovered Malta was the home of such superb ancient sites. To quote Lord Renfrew, ‘something exceptional took place in Malta more than 5,000 years ago and there is nowhere else in the world that can boast of great stone monuments at so early a date’. Two of the locations examined in this publication, the megalithic temples and the Saflieni Hypogeum were declared World Heritage Sites by UNESCO in 1980. Extraordinary facts unfold about the mysterious origins of prehistoric Maltese man and how he constructed such unmatched architecture. Chapters include studies on The Building of Megalithic Malta and The Bronze Age as well as the enigma of the Cart Ruts and whether the ‘Fat Lady’ was really a god or a goddess. Equally important is a chapter showing how recent radiocarbon dating has proved that Malta’s prehistory and its standing stone monuments are much older than archaeologists had first assumed. Authors include David Trump, Anthony Pace, Anthony Bonanno, Ann Monsarrat, Daniel Clarke, Michael Hughes Clarke, Alex Torpiano, Frank Ventura, Reuben Grima and Richard England. Author Various. Edited by Daniel Cilia.